5つ星のうち4.0Very good but not great. 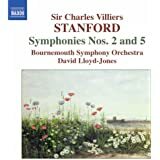 I knew some of the works of Charles Villiers Stanford from my local classical music station. I liked what I heard so I bought this set largely out of curiosity. 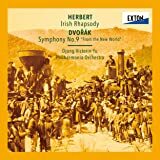 It has all of the symphonies, but only the symphonies, none of the Irish rhapsodies. I thoroughly enjoyed every one of them. 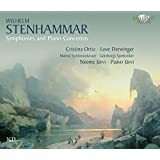 One could not characterize them as "great" symphonies, but everyone of them has substance, beautiful melodies, dramatic dynamics, lush orchestrations. Handley & the Ulsters have a way with Stanford that bring out these qualities. This set has enhanced my CD collection, & I know I will return to these symphonies repeatedly (indeed, I already have). 5つ星のうち5.0Superb Recording with full rich sound stage. 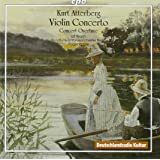 I originally purchased a single recording of Symphony No 6 after hearing a library copy of this recording. I then bought No.2 and really enjoyed that as well, so when this full set came up I could resist getting it. A great Introduction to Stanford's Music. 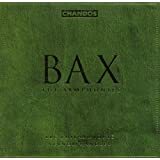 The Chandos recording is superb with a full rich Orchestral sound stage and Magnificent Brass. The music really grows on you the more you listen to it. 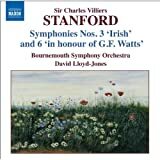 Stanford is a great romantic composer with an English flavour. 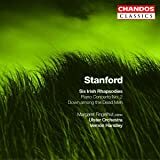 Stanford deserves more recognition as an accomplished composer of the late Romantic era. The symphonies are well=constructed, melodic, and a pleasure to listen to. I have had this set for close to ten years, purchased from Tower Records before they went under. 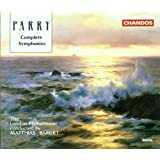 These symphonies are delicious to the ear, if one wants more pastoral music, with an occasional shot of lively activity. The story goes that Queen Victoria was enthralled by the music of Mendelssohn-Bartholdy, and so English composers such as Sir Charles Villiers Stanford were relegated to the back rank when symphonies were presented in England (and apparently nowhere else) in the 19th century. 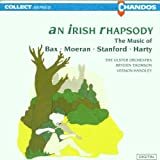 It really is a shame because the music is beautiful - light, yet substantial, and perfect for those times when one tires of loud and sometimes bombastic music by more well-known composers. 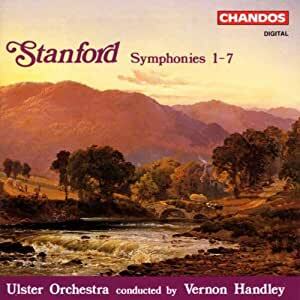 The Ulster Orchestra conducted by Vernon Handley sounds just fine for these symphonies, and the Chandos recording is full and bright. The seven symphonies are presented on four disks.